THE WISCONSIN FILM FESTIVAL’S REAL BUTTER FUND! The Wisconsin Film Festival is here to educate and inspire. We believe that film can build bridges, and that original storytelling has the power to engage and connect us. Each year, the Wisconsin Film Festival would not be possible without your contributions; we cannot sustain the Festival on ticket sales alone. Tax-deductible gifts to the Festival, from individuals like yourself, are housed in the Real Butter Fund and support all areas of festival operations. Whether you’re interested in supporting a thriving arts community in Madison, contributing to the work of independent filmmakers, or inspiring the next generation of storytellers, please consider making a gift to the Real Butter Fund today. The Festival is produced by the University of Wisconsin–Madison, so gifts to the Real Butter Fund are housed within the UW Foundation. 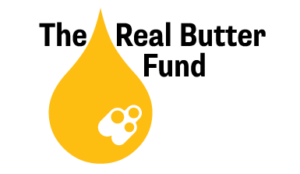 Real Butter Fund contributions exclusively support the Wisconsin Film Festival. Give to the Real Butter Fund today! If you have any questions or concerns about donations to the Wisconsin Film Festival, please contact development@arts.wisc.edu. WHY IS IT CALLED THE REAL BUTTER FUND? This is Wisconsin. Real butter represents everything that is good and great about our state’s dairy traditions. The Real Butter name was inspired by a mobile that hung above the popcorn counter at the former Strand Theater on East Mifflin Street in Madison. The mobile was salvaged before the building closed in 1990. It’s popcorn, it’s movies, it’s Wisconsin. It’s good.